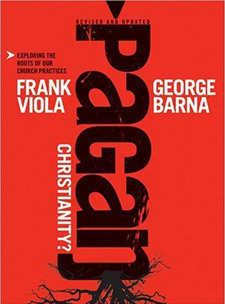 I have already done an introduction to Pagan Christianity by Frank Viola & George Barna, so now i want to get into a little more of the book. besides the one chapter on tithing & clergy salaries, the book is not about stewardship, but i do think the book overall has made an important impact on my thoughts about the Church that i feel the need to write about it. It strikes me because we think that the bigger our footprint on creating religious real estate, than the bigger influence we will have in our society. History disproves this theory. The first century Christians turned the world upside down without the organizational and structural presence that we hold on dear today (Acts 17:6). Essentially what Frank Viola and George Barna are saying is, we don’t need this stuff like we think we do. Most of us think what would we do without a church building? The same goes for tithing. What would we ever do if everyone just gave as they felt led? We think everything would just fall apart. Put away the fancy clothes, the pews, the pulpit, the altar calls, the hymn books, the praise and worship team, the ushers, the 1-2-3 or 4 man pastoral show, the hype, the buildings, the fancy architecture, the high overhead, the order of the service, the outlined sermon, the religious heirarchy, the ordination & seminary requirements, the choir, tithing & clergy salaries. Put away all of that because it is not a biblical requirement. What do you have in Church beyond all of that? You have Church at the very roots of what God wanted it to be about. . . -Him. You see what happens is we go to church, get comfortable, and we become spectators. Everyone does not have an opportunity to use their gifts and talents in the body. We are practically shut up. What Pagan Christianity is saying is that Christ is only expressed through the pastor or music leader when we come together, and this is not how God intended the Church body to function. Romans 12:6 says, “Having then gifts differing according to the grace that is given to us, let us use them” Also in Colossians 3:16, “Let the word of Christ dwell in you richly in all wisdom, teaching and admonishing one another in psalms and hymns and spiritual songs, singing with grace in your hearts to the Lord.” And in 1 Peter 4:11, “As each one has received a gift, minister it to one another, as good stewards of the manifold grace of God. If anyone speaks, let him speak as the oracles of God.” Lastly in 1 Corinthians 14 we can see that God set up an order in the Church for prophesying and teaching. Typically on Sunday’s when we come together, there’s only 1 or 2 people sharing, admonishing, or teaching. I think we all need an opportunity to share. Not just 1 or 2. The way our Church is structurally set up today does not stimulate growth and participation. Actually it prohibits it. This is the heart of what Frank Viola is getting at in Pagan Christianity. What do you think about the house church/organic church movement? Do you think there are some positives? Do you think there are some negatives? Well, my only experience with a house church when I began to get disillusioned by institutional church was not much better than institutional church. It was pretty much a one man show, he was a prophet and everyone apparently attended to get a word from him or to hear what God had given him. The main guy gave the sermon, but instead of behind a pulpit, he was sitting in a chair in a room full of others in chairs. I got the feeling you didn’t interact or ask questions or make comments during his message any more than you would in a church service. There was a definite “order” to the day, songs, offering and tithes (he believed in tithing), and sermon, and prayer and ministry. I know they are not all like that, but God was able to use it to show me just because it’s house church doesn’t mean it’s right either. I agree with you there. A house church doesn’t mean that the conventional church discrepancies are actually fixed. I see there are many books out there about Tithes and everyone has an opinion. But my question is where is it in the Bible(what scripture) does it say 10% is what you should give. Who came up w/that? I can’t find it in the Bible. an organic or “hippie” church – which is my take on freedom to serve though jesus cannot be run like a business. Money and power make a man run a show (church service) , and when it’s over he moves up another rung , but it’s the deaf and dumb that get stung…..God resists the proud, but gives grace to the humble…. H. Irving: It is recorded in Genesis when Abraham gave a 10% tithe (translated “tenth”) to Melchizedek, King of Salem, in chapter 14. It is also recorded more specifically in Malachi 3:10. This passage also mentions that if you don’t then you are stealing from God Himself. Remember that tithe = tenth in translation so that is where 10% comes from. Many argue that we shouldn’t “tithe” because we are under a New Covenant. We are under the New Covenant started by Jesus’ death on the cross. Jesus states in Matt. 5 that He did not come to abolish the law, but to fulfill it. Hebrews shows us that the Law of the Old Testament is a “shadow” of real living in community with God. Therefore, now we are able to actually live in Christ through Abiding in Him. If we gave a tenth under the law, why would we ever conceive giving less under grace? Hope this helps. Finish the biblical thought. Jesus did indeed come to fulfill the law but read Hebrews and find out what happened to the law after Jesus fulfilled it. Now that we have a New covenant, it has made the first one old. 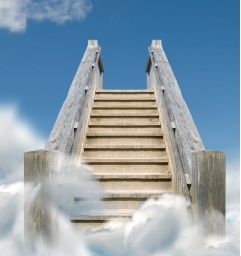 And that which is old is nigh unto vanishing away. I hope no one continiues to deceive you for financial gain. I don’t read that Josh is advocating for the Law. The NT expands many OT principles for the believer today. The amount we give is not the issue. The attitude of the heart in relation to the ability of the pocketbook was the thought expressed by Christ himself. Paul instructs us to give as God has prospered, and he encourages us to give bountifully. Josh has simply made a common, reasonable expansion: If the Law required 10%, shouldn’t believers simply start there and give cheerfully as God leads?